According to federal transportation statistics for 2015, 85.6% of workers drive or carpool to their jobs; public transportation, biking, or walking accounts for only 8.6% of all work commutes, and the remaining work from home. Given those figures, it’s no surprise that buildings and infrastructure nationally and locally are designed for people to travel by car. Local governments have been reinforcing vehicular transportation for decades by imposing parking minimum requirements for new development. However, these minimum parking requirements are based on an abstract, unscientific characterization of demand, leading to a surplus of urban parking. It is not news that Dallas has its fair share of vacant parking garages and surface lots. Will this vacancy get filled in the future with a higher demand for parking? Probably not. In fact, several articles lately suggest that the personal car culture has peaked. 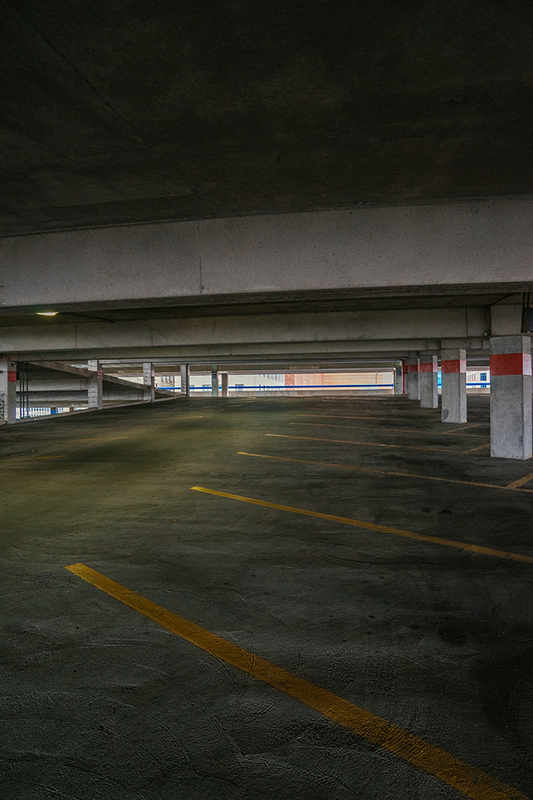 With ride-share services, shifting demographics, and the anticipation of driverless cars, there may be even more vacant parking garages or at least parking levels in our future. Parking regulations started popping up in the mid-1940s as a way for cities to respond to growing demands for free parking. Donald Shoup describes in his book The High Cost of Free Parking that most new development was happening in suburban areas where land was inexpensive and free parking could easily be accommodated. Cities imposed the cost of parking on the developer as a condition to build the project. The minimum parking requirement apparently started as an arbitrary number based on land use of the suburban sites where most people drove, using peak demand as a reference. The requirements rarely considered variations in site conditions, such as access to public transit or adjacent density, and were often copied from city to city. A shortage of parking was considered a failure for the development. “But too much parking is also a problem—it wastes money, degrades urban design, increases impervious surface area, and encourages overuse of cars,” says Shoup. It’s difficult to determine the right amount of parking for a project at the time it’s built and in the future. 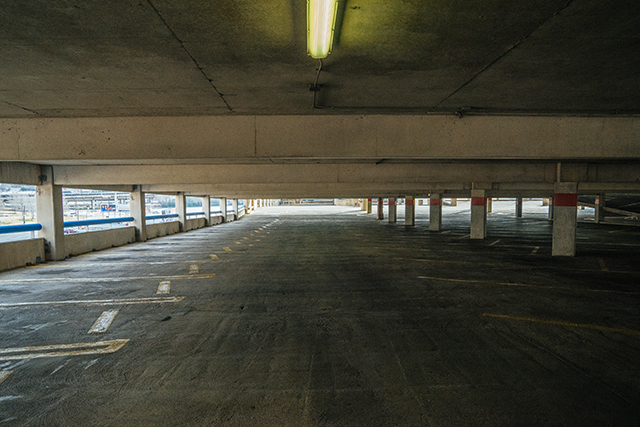 Obviously, lenders and developers want to make sure parking is adequate, but how do you determine what is adequate? When Uptown was developed, two public improvement districts were created and set the rules for how much parking would be required in this new walkable urban scene. In both districts, the minimum parking requirements were established at a rate less than the city’s minimum. “At the time, the City of Dallas did not buy into the concept that people would leave their cars and walk,” says Neal Sleeper of Cityplace. The notion of having less parking in this area because of its higher density, access to public transit, and walkability was more theory and not completely understood. Since those early years in the 1990s, Uptown has proved to be a successful walkable neighborhood, but the parking was and is still built as if it were anywhere in Dallas. The multifamily parking requirement included 25% to be for visitors but the reality is that all of the visitor parking is built to only be accessible to residents. Office buildings are also building over the minimum code required parking. As a result, Sleeper says, “there are several developments that have entire floors of parking that are rarely parked on.” The conclusion is that the district currently has an excess of parking—some of which may not be distributed appropriately for the users with too much inaccessible to non-residents. Overall, if most projects have too much parking, all this extra space creates a very expensive vacancy in the middle of prime real estate. New projects touted as transit-oriented developments or mixed-use urban centers are being built with the same parking standards as the Home Depot down the street. Office space is still built with the standard of four parking spaces per 1,000 square feet, even though the development is designed for pedestrians with easy public transit access. Multifamily projects still assume everyone owns at least one car and will drive often. It’s the assumption that everyone has a car that makes the story about vacancy in parking garages interesting. What if people stopped owning cars? This is not far-fetched. Between 1985 and 2009, U.S. vehicle sales declined, the U.S. Department of Transportation says. Of course, the recession may have factored into the decline, but The New York Times article “The End of Car Culture” from June 29, 2013, suggests that over the long term, people are losing their lust for new cars. The article argues that there is a cultural shift away from the personal vehicle as three factors converge: improved online communication that reduces in-person meetings, the growth of urban city centers, and technology that provides a platform for ride-sharing apps. A 2012 report by the U.S. PIRG Education Fund and Frontier Group supports the theory of this cultural shift. The researchers discovered a conscious movement among Americans ages 16 to 34 to choose alternative transportation to the personal car. When surveyed, some cited environmental concerns, and some wanted to use their time traveling in a more productive way. The study, covering the change from 2001 to 2009, found that this age group biked 24% more often, walked 16% more often and took public transit 40% more often. Technology has facilitated these changes with car-sharing, bike-sharing, and apps for public transit. But the biggest game-changer for city infrastructure is how driverless cars will impact the primary modes of transportation. Autonomous cars are already here. Uber currently has self-driving cars, with a safety driver on board, in Pittsburgh, Phoenix, and San Francisco. Google’s Waymo has been on the roads without a safety driver in a Phoenix suburb since October 2017. General Motors plans to put cars with no pedals or steering wheels on the market in 2019, and Ford has been investing in technology to produce a fully automated car by 2021. With trends already showing a drift from using personal vehicles as a primary mode of transportation, autonomous cars will simply exacerbate this trend. The infrastructure that has been built for decades to make personal vehicles more convenient will become outdated. And what will become of the parking garages designed to accommodate everyone’s personal vehicle? Expect a lot of empty parking spaces or a completely different way of using garages. Locally, Gensler has been studying the architectural ramifications of a shift away from high-demand parking. 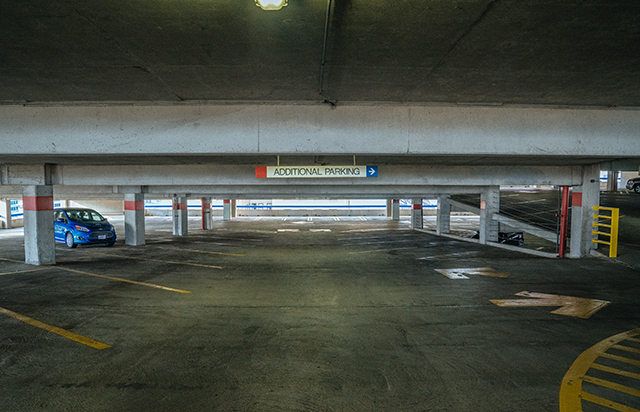 There is a temporal parking demand from cities, clients, and the public, but that space will be vacant when the demand is no longer the same. “While many clients now are bottom-line focused, we have some in the office sector that are thinking long term about their projects and want us to design the upper floors of the garage to be convertible,” says Ross Conway, AIA, design director and principal at Gensler. To construct a garage with the intention of converting some or all of it into a new use requires a little bit of extra investment and design on the front end. For an above-ground garage to eventually become either office or residential, the structure needs to be designed with that in mind. “First, we like to ask, ‘What are the uses that can happen to help make the most out of this multimillion-dollar asset?’ The loads are the same, but the rigidity is different,” he says. Conway has found several challenges with potential wasted space when converting to multifamily, but the office sector likes the large open floor plates. The garage is then designed with flat floor plates and taller floor-to-floor heights to correspond with the intended future use. Planning for tomorrow’s parking needs will depend in large part on how primary modes of transportation shift. If driverless cars take over, “we would still need garages for car storage, but not as much. Instead, we would need much more space for a 700-car pickup [as employees leave] at the end of the workday,” he says. In fact, Conway says existing garages may be used just to handle the logistics of this kind of valet drop-off. The parking spaces would no longer require adjacency to the building. The car would drop off and pick up workers at the building, then drive to a remote parking space. The shift to mass drop-offs and pickups may also force rethinking access to buildings. Car storage for autonomous vehicles would not require the same rigidity of today’s parking garages. The layout could stack the cars in a much more compact way. “The goal, of course, would be to build no parking, but we aren’t there yet,” Conway says. There is a huge opportunity here to re-evaluate how to determine an adequate amount of parking, whether through no-parking requirements, a parking management district to help with mixed-use areas, or a maximum amount of parking per project. But there is also an economic advantage to managing the parking correctly. We have spent decades building space to park mostly in areas where the land is very valuable. The economics at play make it enticing to build more profit-producing space in lieu of parking in areas like Uptown. The current vacant parking space and future vacant parking space are acting like a savings account for prime real estate. 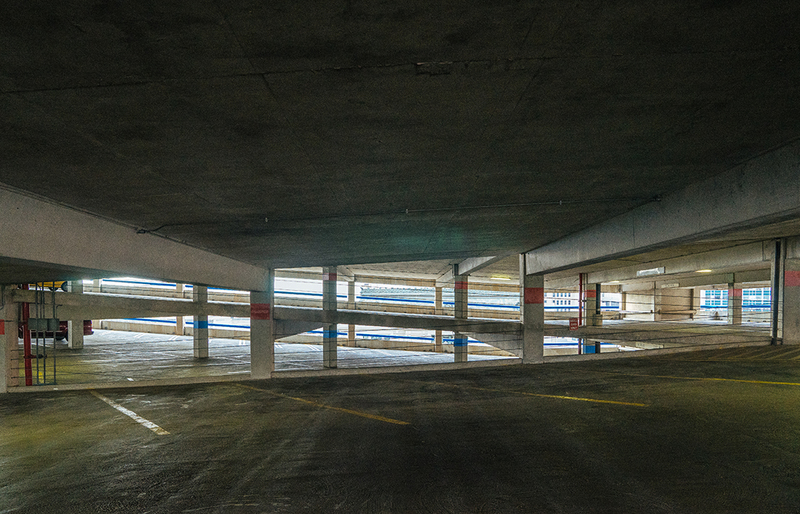 So how can an underutilized parking garage get redeveloped? Well, it may not have been built to easily convert into another use, and tearing it down might be the best solution. But it’s worth thinking twice when building new garages: Is this a structure that can adapt when parking demand changes?